Nathalie Moll is to take over as Director General of EFPIA, the Brussels-based pharmaceutical industry trade organisation for Europe. Currently head of the European Association for Bioindustries (EuropaBio), Moll will join EFPIA in April 2017, filling the vacancy left by the departure of Richard Bergström last year (with industry veteran Eric Cornut acting as interim leader until April). The appointment coincides with huge upheaval in Europe, as populist parties are threatening to overturn the political status quo across the continent. The UK’s vote to the leave the EU was a seismic development for Europe last year, but 2017 could see further shockwaves. Forthcoming elections in France, Germany and the Netherlands could put populist leaders into power, all sharing an anti-EU and anti-immigration sentiment. Meanwhile all of Europe’s healthcare systems are struggling to cope with ageing populations and rising costs in health technology, including innovative but high cost medicines. A dual British-Italian national, Nathalie Moll has served as head of EuropaBio for seven years, with stints at the European Commission, the Italian biotech industry association and Italian company Dompé Farmaceutici before that. Add to that her degree in biochemistry and biotechnology from St Andrew’s University in Scotland, and Moll is well acquainted with the challenges of bringing politics, healthcare and science together in Europe. EFPIA doesn’t have a direct role in negotiating with governments on medicines spending, as health budgets are decided by individual European member states and not in Brussels, but does lead on strategic issues and EU regulations. Those challenges for healthcare systems and pharma in Europe are numerous. There are also long-standing concerns about Europe’s competitiveness as a place to do business and conduct clinical trials and drug discovery. The European Commission has just launched a vision for an EU industrial strategy, aimed at rousing Europe out of sluggish growth. But EU-wide initiatives take years to reach agreement across all member states, and require major compromises along the way. Under the Obama administration, the US had sought to negotiate The Transatlantic Trade and Investment Partnership (TTIP) to create more open trade and harmonise regulations between Europe and the US, something which EFPIA backed strongly. But TTIP now looks to be dead in the water, with President Trump threatening to raise new US trade barriers which could hit companies based in Europe and the rest of the world. 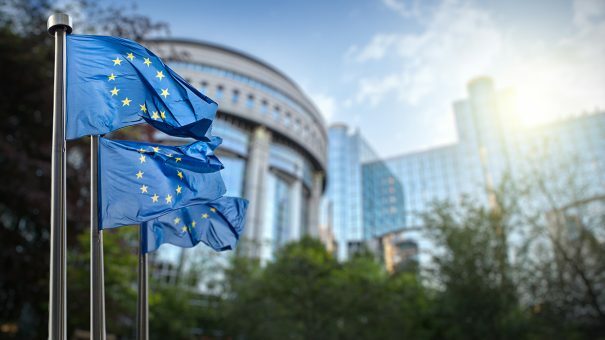 EFPIA has also championed greater harmonisation and integration in European health decision-making – including health technology assessments – but such moves look more distant than ever against this political backdrop. 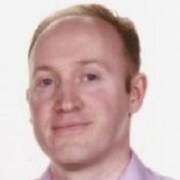 There are some significant success stories, however, with Europe’s regulator the EMA looking to match the FDA by introducing new fast-track approval methods. The EMA is currently located in London, but is expected to relocate after Brexit, and many European cities are eagerly vying to be its new home. The Innovative Medicines Initiative (IMI) an ambitious €5 billion programme of public-private R&D funded by pharma and the EU is also showing great potential to foster groundbreaking science. Meanwhile, Europe’s top 5 markets – Germany, France, Italy, Spain and the UK remain the second most important market for the pharmaceutical industry when it comes to launching innovative products. There are a number of initiatives at European level to help promote the uptake of new medicines while taking into account the needs of health systems, but these ultimately remain at the mercy of national health budgets and decision-makers. And even with the mixed signals sent out by Donald Trump to the pharmaceutical industry, the US is still seen as a far more friendly environment that Europe. A recent report by the Paris-based OECD looking at the future of healthcare called for ‘rebalancing of power’ in drug price negotiations. 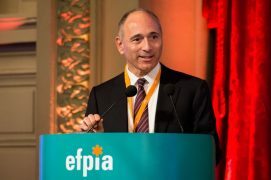 Joe Jimenez responded as EFPIA president by saying that healthcare systems needed to evolve on three fronts: improve horizon-scanning to anticipate impact of new technologies, develop a systematic scrutiny of overall costs of healthcare, and better measure the actual outcomes delivered by healthcare systems. He warned that without such changes, healthcare systems would continue to focus too much on upfront costs and price. But while Europe’s political leaders fight to preserve centre-ground politics and the future of the EU itself, bold visions for European health will have to wait a little longer. Please note that this article originally incorrectly stated that Nathalie Moll is the first woman to hold the post of EFPIA director general. This distinction actually belonged to Nelly Baudrihaye, a very influential figure who was the co-founder of the organisation in 1978, and instrumental in creating a European regulatory framework, including the setting up of the EMA. She served as its leader from 1978 until 1994 and died in 2011.